As requested, I’ve put the gift ideas for the Yo’ Mom’s is so.. categories. 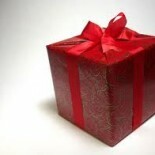 We-care.com – makes shopping and giving possible all year long. …she’ll be delighted with gifts that relax, reduce stress and make her say “ahhh” after a long day. SOOTHE HER MIND BODY AND/OR SOUL WITH THESE FRUGALISTA GIFT IDEAS. Well, Mom’s not really chichi. However, she does love stylish things. FOR THE MOM WITH A STYLE OF HER OWN – NO APOLOGIES! …and she loves to show it. See, all it really means is individualized—and, often, fun. This mom believes that most of us could use more fun in our lives. …she clearly demonstrates how much she loves the earth. MAY YOU FIND THE PERFECT GIFT TO MAKE MOM SMILE. This entry was posted on May 8, 2013 by frugalistagiftguide in M, N, O, Occasions, women's and tagged Altruistic, chichi, Frugal, Frugalista gifts, Giving, kitsch, Mother's Day gifts, Pamper, quirky, relaxation, style.